Using digital technologies and virtual applications, a future where clothing could integrate a digital interface is considered. Instead of manufacturing disposable clothes, what if we had garments that were responsive and adaptive to our environments, moods and desires and which assuaged our need for novelty and the demand for disposable clothes? 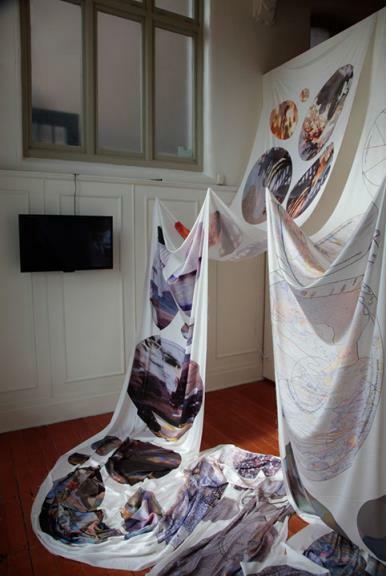 This project interrogates the potential of digital materiality to affect the rate of textile consumption in the future. Posted in: Digital textile print, ExhibitionsTagged: dematerialised, digital textile print, fashion film, liminal dress, Miranda Smitheram, ObjectspacePermalinkComments Off on Am I liminal yet?